an adventure waiting just for you! Driving a car around the outer fringes will only show you the lake from the outside looking in. If this is your only way to visit the lake, then you'll definitely enjoy looking at the spectacular views. But, if you're able to get on the lake, you'll feel a whole lot different about it. Experiencing the lake from the water gives a whole new perspective. There are many different ways to enjoy your water experience around Lake Winnipesaukee in New Hampshire. boating trip with visitors to this page. For vacationers and weekend warriors, motoring around Lake Winnipesaukee in central New Hampshire in a power boat is fun and exciting. Going across the broads to get to a destination on the other side of the lake gives you the feeling that you're really getting out for the day. Other times, its fun to just putter along and stop at different places for a swim. Many people bring their own boat up for their vacation in New Hampshire or even just for the day. If you do bring your own water craft up for the day, there are many public ramps and docks around Lake Winnipesaukee. For those who don't have their own, there are many marinas that provide rentals on a daily or weekly basis. Once you launch your craft, you're ready to take off and enjoy your New Hampshire family yachting experience on Lake Winnipesaukee. 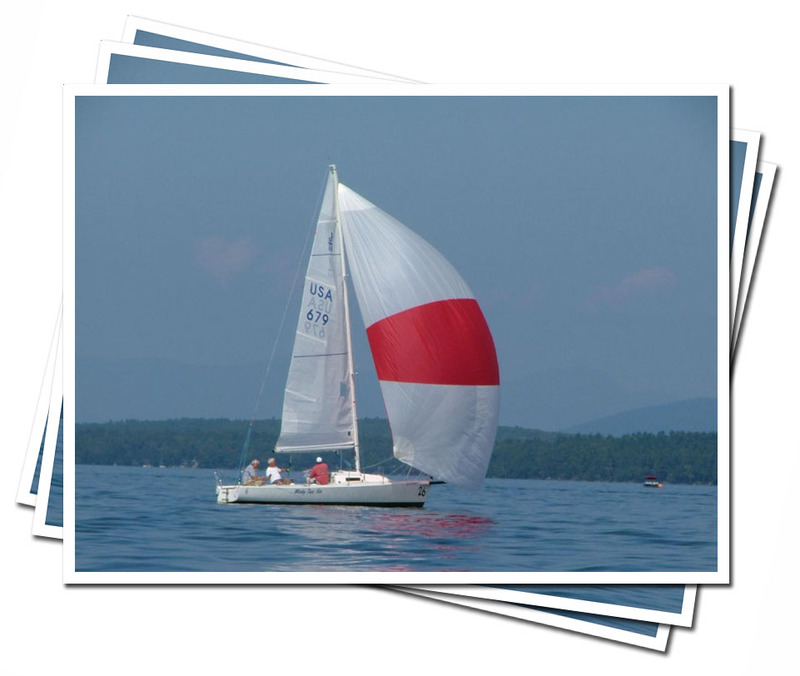 Lake Winnipesaukee is a wonderful place for New Hampshire sailing whether you're on vacation or just live here. On the really windy days, you can enjoy several hours going across the broads. When there's just a light breeze, going for a sail can be a fun way to enjoy the scenery or just have a great conversation with your mates. Either way, sailing on Lake Winnipesaukee is definitely worth the experience. If you have a small sunfish or daysailer, there are many places you can launch it. Or, if you have a larger vessel you can find places to moor it on Lake Winnipesaukee all season. It's a little more expensive, but it makes it easier to go sailing for the day. For those who don't own a vessel, there are a few places that offer rentals. In addition, you can try Bayswater Sailboat Rentals in Moultonborough, New Hampshire at (603)253-7245. 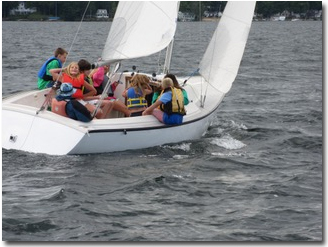 If you feel you need sailing lessons, you can try the Lake Winnipesaukee Sailing Association on Smith Cove in Gilford (www.lwsa.org) which provides a wide range of sailing lessons for youth and adults from May through August. You can also contact them if you have a sailboat and want to get involved in weekly cruising or racing this spring-summer-autumn on the lake. Kayaks and canoes are a quiet way to enjoy Lake Winnipesaukee in New Hampshire. These are best for the coves and areas where the powered vessels aren't everywhere. If you have a larger cruiser, you can load the kayaks or tow a canoe and anchor near some islands. Every year we get to take the kayaks to some secluded coves and just enjoy the wildlife and scenery. 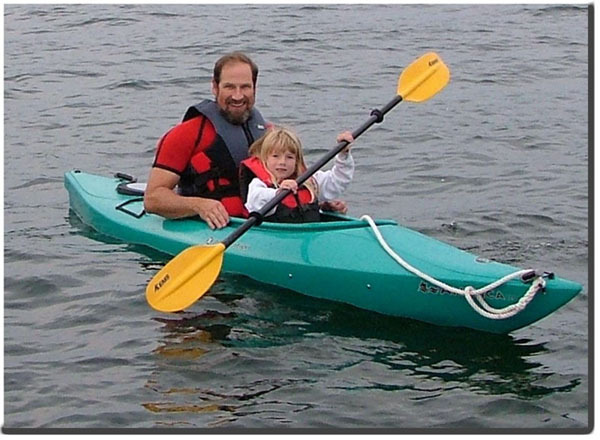 Plus its a great time for kids to learn how to kayak. If you need to rent either a kayak or canoe check out Wild Meadow Canoes and Kayaks at (603)253-7536. They're very knowledgeable and can answer your questions. Personal water crafts have become a popular way to get around the lake. You can take them just about anywhere. Since the lake can get quite choppy during busy weekends, these are perfect for enjoying the waves and wakes. There are rules for using personal water crafts, especially if you're close to shore. These same rules apply to any vessel but with extras. 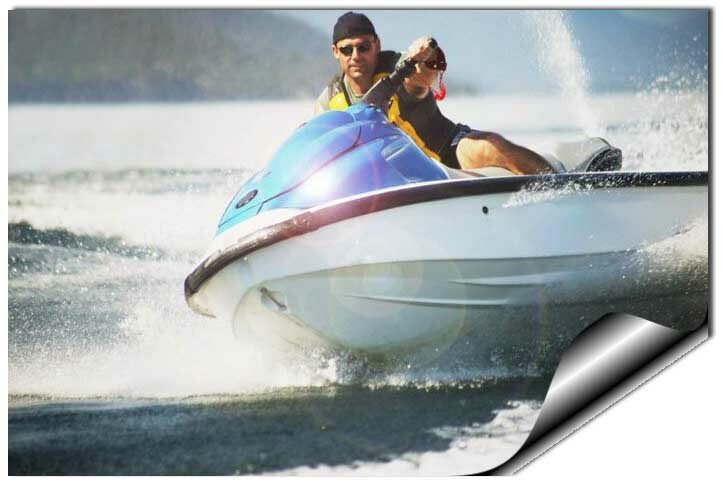 Many places in Central New Hampshire rent personal water crafts on both Lake Winnipesaukee and Lake Winnisquam. A pontoon boat is a wonderful way to enjoy Lake Winnipesaukee in New Hampshire when there's quite a few people in your party. They run smoothly over choppy waves and it's a comfortable ride for everyone. Many of them have a canopy that keeps the sun off. I like them because you can bring everyone and have a picnic aboard. 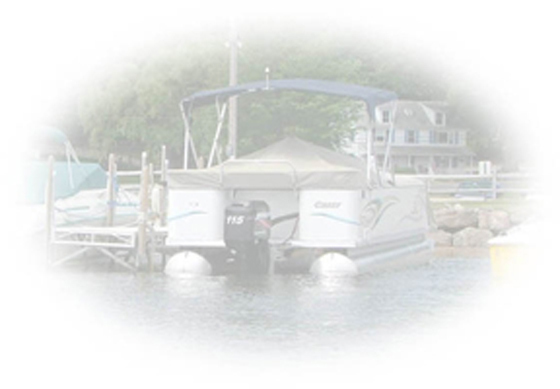 Check out the various marinas for New Hampshire boat rentals. For a tour of the lake on a grand style try the M/S Mount Washington, commonly known as "The Mount." Passengers can embark on a scenic cruise around the lake. The Mount usually stops at five ports: Weirs Beach, Meredith, Wolfeboro, Alton Bay and Center Harbor. They also offer sunset and dinner cruises. Check the schedule ahead of time. In addition to The Mount, the M/V Sophie C. and M/V Doris E. are also available for a lake cruise. The Sophie C. is a floating post office. They deliver mail to island residents and take on passengers for the trip. The Doris E. offers scenic cruises of Meredith Bay and between the islands of Lake Winnipesaukee. If you're interested in taking a tour on Lake Winnipesaukee in an antique boat, try the Millie B. Operated by the New Hampshire Boat Museum, the Millie B. is a 1928-style all mahogany runabout. It's a comfortable ride for all ages. For information, call (603) 569-4554. "The Winnipesaukee Belle," a turn of the century New Hampshire paddle wheeler is a fun way to tour Lake Winnipesaukee as a group. It's perfect for large groups or functions. 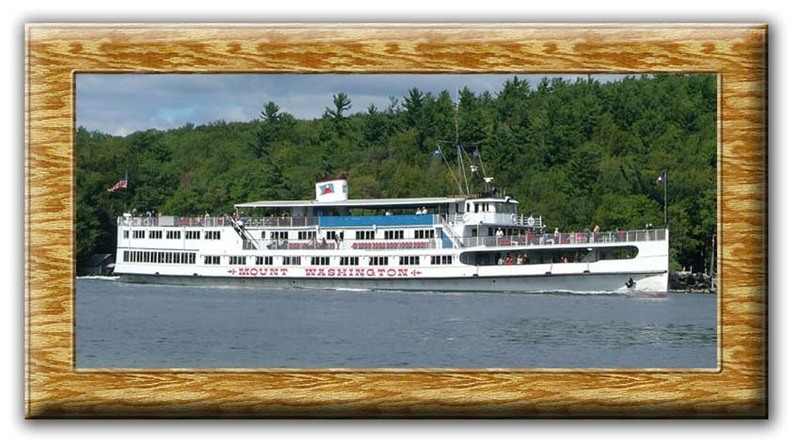 Click here for more information on the Winnipesaukee Belle. As you can see, there are many opportunities and different ways to enjoy Lake Winnipesaukee in central New Hampshire. Try one or try them all. You'll be happy you did.